We are grateful Wethe aremen grateful to and to the men women whoand serve women who serve our communities. our communities. They deserve the best. They deserve the best. MIDLANDS provides world-class protection for the schools, emergency services and government entities that protect serve ourprotection communities. Comprehensive and tailored Public coverage MIDLANDS providesand world-class for the schools, emergency services andEntity government with innovative risk management for single risks and group entities that protect and serve oursolutions communities. Comprehensive and risks. tailored Public Entity coverage with innovative risk management solutions for single risks and group risks. fter years of aggressively cost-shifting employees to a point of inadvertently rationing their Rx supply and/or not adhering to drug regimens, some forward-thinking employers have gone full throttle â&#x20AC;&#x201C; in reverse. Theyâ&#x20AC;&#x2122;re designing prescription drug plans without any co-pay to ensure that chronically ill populations on expensive meds will be in adherence. The upshot is better outcomes, say industry observers, which also result in substantial savings to the employer. One promising path to these achievements is through a carefully crafted international prescription program, which can save anywhere from 30% to 70% on name-brand medicines and beat pharmacy benefit manager (PBM) pricing. Escalating drug prices for both generic and name-brand prescriptions certainly necessitate the need for self-insured employers to consider this option to mitigate Rx costs without reducing benefits. BEYOND U.S. BORDERS | FEATURE The key to success is a reliance on experts in the field who not only secure deep discounts from the right countries, but also ensure that the efficacy of these drugs is equal or superior to what’s available in the U.S. Mail-order supplies of up to 90 days involving drugs for personal use that that aren’t sensitive to heat or cold are shipped from various countries. The arrangement, left to the discretion of the Food and Drug Administration (FDA), offers patients a huge convenience considering a growing number of medical tourists traipsing around the globe in search of more affordable medical treatments that don’t skimp on quality. Rx shipments from other countries are limited to Canada, England, Australia and New Zealand, which the FDA classifies as so-called tierone nations whose quality control standards mirror those in the U.S. In an increasingly dangerous world economy featuring politically unstable regions, avoidance also plays a significant role. For example, experts say countries such as Mexico or Iraq that don’t have the same standards as the U.S. are bypassed, as are narcotics or so-called lifestyle drugs such as Viagra and Cialis that are in high demand yet prone to abuse or fraud. Similarly, there are guarantees regarding the pedigree of every script. A huge concern is online or overseas pharmacies that may not even have a pharmacist and allow customers to buy meds online without a prescription. “You don’t know whether you’re getting the real med or not the real med,” explains Gary C. Becker, CEO of ScriptSourcing, which helps self-funded employers mitigate prescription drug claims. He says the FDA is constantly on the lookout for rogue pharmacies. BEYOND U.S. BORDERS | FEATURE which costs about $2 per pill overseas versus the $7-plus range domestically. Partnering with PBMs While there’s no doubting the power of an international prescription program, it’s not a panacea and, in fact, is usually offered in conjunction with traditional efforts. Hepscher says all of the employers he works with must offer a traditional domestic PBM. Employees are offered a “voluntary” option to order certain name-brand medications that do not have a generic alternative in the US. Crestor, a popular cholesterol-lowering drug, is a good example of a medication that provides a savings when ordered from the Rx Manage international program. Other cholesterol-lower drugs such as Lipitor and Zocor do have lower cost generic alternatives and are less expensive in the US. and a patent protects from competition unlike the generic market that usually encourages competition. Whereas multiple drug manufacturers will drive down the price of drugs that become available in generic form in the U.S., he says price controls help keep brand prices down in countries like Canada and New Zealand. However, they do just the opposite for generic medication costs due to a lack of competition. Another reason an international prescription program cannot be the sole pipeline is the sense of urgency for some meds such as drops for an earache that need to be used right away. Hepscher says two-week shipping from an international pharmacy would render that option pointless. So there may be instances when it makes much more sense to go with a $4 prescription at a patient’s local Walmart. “Our mindset is truly consumerism; let’s bring that cost down,” he says. Noting his business model can help substantially lower prices on about 300 medications, Hepscher says the onus is on PBMs to manage generics. “Our prices would be more expensive if we tried to source every single medication and what the U.S. based PBM can offer,” he adds. “In most cases, there isn’t a need for international fulfillment for generics. However, when it comes to name-brand drugs, the PBMs just like individual consumers are at the mercy of the manufacturers.” Until recently, the Canadian Medstore largely served the individual-insurance market. In discussions with brokers and HR executives, Hepscher says they were surprised that there’s no per member per month charge. Rather, they learn ahead of time what each medication will cost without such fees. Employers pay only their medication’s international cost and avoid a co-pay. “If an employer decides to do business with us and the employee orders a drug, they see an immediate ROI,” he explains, unlike wellness programs whose payoff may not show up for years. Mind over risk: The secret weapon of employers and the people who insure them. HCC Life Insurance Company, operating as Tokio Marine HCC - Stop Loss Group, has stood on a strong foundation of solid business practices and a firm commitment to our medical stop loss clients for over 35 years. We’ve used that groundwork to drive us into group life and disability products while maintaining our position as a leader in the medical stop loss market. Our ability to understand trends that shape the markets and intelligently manage data to properly assess risks gives clients the confidence to take on challenges and turn them into opportunities. We call it Mind over risk. When viewed in strategic terms, having an international prescription program can lift morale, loyalty, recruitment and retention of top talent who no longer need to worry about rationing their pill supply. “It seems like every year they’re going back to their employees with bad news,” observes Hepscher, quipping about the potential for “pitchforks and the torches” being wielded at open enrollment meetings to explain higher monthly premiums and annual deductibles. Adding this layer onto any Rx management effort certainly can help employers better explain the cost of prescriptions, he says and enable employee populations to “understand that there’s a way that they can help keep those premiums down across the board.” ■ Bruce Shutan is a Los Angeles freelance writer who has closely covered the employee beneﬁts industry for 28 years. tilization review. Precertiﬁcation. Medical case management. It seems as if health plans have been, for lack of a better word, micromanaging how medical care is sought and obtained by plan participants, for decades upon decades. It makes sense. Whether I’m a fully insured carrier or a self-insured plan sponsor, I know that a complicated pregnancy, chronic illness, cancer diagnosis, or any other number of conditions will seriously hurt – if not sink – my plan. So, it makes sense. It makes sense that I ask patients, providers and everyone else to check in. Give me a heads up. Let me know what’s going on and put an independent team in place to identify the most effective, yet cost-conscious course of care. Everyone wins. amount?” “Is it worth the peace of mind [and prohibition on balance billing] to stick with a network model, when I’m being contractually bound to pay more than [some interpret] my plan document allows?” “Should I consider putting my participants in the ‘balance billing cross-hairs,’ dump the network and just pay – out of network – rates I think are fair, based on external parameters [such as Medicare rates]?”) Yes indeed – from how, where and what care is obtained, to re-pricing and cost containment warfare – medical care (and costs) dominate the conversation these days. The pharmacy supply chain, however, is especially complex; so that plan sponsors are at a disadvantage when attempting to manage it on their own. As such, PBMs are in a unique position to leverage their knowledge; providing many valuable services to these plans.Yet, with a lack of transparency, control over plan assets and incentives not aligned with containing plan costs, these organizations may not be driven to make reducing spending their top priority. and relationships, we begin to notice that there are many different stakeholders involved and their interests often conflict. Whenever a plan administrator “turns over the reins” to a third party, so that spending is determined in large part by a stakeholder unrelated to the plan sponsor, we must ask what drives that stakeholder. What action (or lack of action) most benefits that entity? For this (and other) reason(s), most plan sponsors today prefer to maintain control of their plan and its spending. authorizations. Indeed, these particular organizations authorize themselves to buy drugs from their own pharmacy. Huh? Could you imagine if a hospital were in charge of pre-certifying procedures they will be performing? Yet, most agree that PBMs still offer valuable services. If that is the case and we all agree that the cost of prescription drugs is skyrocketing, plans are obligated to: (1) implement programs either themselves, with third parties, or with their PBMs to make cost containment priority #1 and (2) recognize the limits and needs PBMs deal with – noting that if the plan wants to use a PBM, they may need to be flexible in their demands and expectations. So, with these potential issues in mind, we next need to consider some actions we can take to avoid such conflicts, while still benefitting from many of the valuable services PBMs provide. If PBMs cannot be relied upon (and, in many instances, ought not to be relied upon) to reduce costs to the plan and manage drug utilization, the duty falls upon the plan fiduciary to do it themselves, or find someone who can do it for them. First and foremost, the PBM (or someone else, providing oversight) should constantly evaluate medical necessity as it relates to the drugs being purchased. In other words, eliminate the “set it and forget it” attitude that tends to apply to medication purchasing. This is especially true with some of the most common conditions we see today. An industry expert and friend explained to me the outrageous waste he sees related to back injuries and conditions. According to him, 67% of all back surgeries are not medically necessary and too often the TPA just approves them. Worst of all? Most of them don’t solve the problem! Another ally in the battle against rising drug costs assured me that, to deal with this problem and ones like it, a savvy benefit plan must implement a program that involves evidence-based clinical care management – meaning they perform detailed analysis and identification of opportunities based on historical data, perform clinical review for appropriateness and cost effectiveness and continuously monitor diagnoses, treatment options and new therapy options, to ensure that the option that was best for both the patient and plan yesterday, is still the most impactful for the client as well as most likely to produce the best clinical outcomes today. Jeff Simpson, chairman of SIIA’s Alternative Risk Transfer Committee and of the ERC Working Group, offered capsule examples of the new law’s needed clarifications. “The law speaks to calculated percentages of interest in specified assets, but we don’t know if that means interest on stocks, loans, fair market value, adjusted basis or something else,” he said. “Another passage talks about ‘policy holders’ but we don’t know if that would include reinsurers. Relating to family businesses, if the husband owns the business a wife or family group couldn’t share ownership of the captive. We don’t know if that’s really the intent of the law. “ The best way to eliminate uncertainties would be for Congress to make the technical corrections to provide guidance to the IRS,” Simpson said. “ Taxpayers want to comply with the law, but they don’t know how to do that at this point.” SIIA members and staff realize that the smoke and turmoil of an election year is not the ideal time to ask for technical corrections from Congress and federal agencies. “Perhaps either Congress or the IRS could agree that the law is not clear and suggest its implementation be delayed for a year,” Simpson said. ERC Working Group member Dana Sheridan, general counsel and chief compliance officer of Active Captive Management of Laguna Hills, California, notes that “It’s also important to remember that Section 831(b) was not just created to provide tax benefit to farm mutuals, history tells us otherwise. The future can be very bright if we all remember why captives were – and still are – so necessary in the first place and we all do our part to ensure that small captives follow insurance industry best practices. Clearly, tax strategy with regard to small captives is in the media spotlight, but I hope that we don’t lose sight of the fact that an insurer should be judged by the quality of its insurance business, not its ability to make a tax election.” SIIA’s pursuit of tax law clarity on behalf of the small captive industry is likely to continue through the current session of Congress. ■ SIIA members who wish to join the campaign to advocate for self-insurance on the federal level are welcome to contact Ryan Work in the Washington ofﬁce at rwork@siia.org or (202) 595-0642. Washington state white paper from the Ofﬁce of the Insurance Commissioner (OIC) outlining new objections to stop-loss policies covering sponsors of self-insured employee beneﬁt plans arrived silently but with possibly deadly effect. As this issue goes to press, SIIA’s Government Relations Committee is preparing a response to defend the state’s self-insurers and the thousands of employees and dependents they cover. “All of a sudden these new directives by the OIC just appeared without the opportunity for input or response by the industry” reports SIIA Director of State Government Relations Adam Brackemyre. The most egregious – from self-insurers’ perspectives – is a rule that only one stop-loss attachment point can be set for the specific claims of any policy. The frightening implication is that a second, higher, attachment point may not be set for cases of known high risks. This eliminates an employer’s ability to protect against high-risk, high-cost claims at a reasonable premium. The traditional method to assure coverage for high-risk employees has long been known as lasering. In addition to prohibiting that practice, Washington’s new rules demand uniform rate-setting manuals that allow for no flexibility or variable factors. In addition, the OIC may apply its new rules to all policies now in effect with the potential to void every stop-loss contract in the state. self-insurance in this manner. “States continually look for ways to regulate self-insurance, even reduce its presence to support state healthcare exchanges under the ACA or to otherwise balance their budgets,” Castelloe says. In earlier decades, SIIA’s primary government relations activities centered on federal issues in Washington. But now most challenges come from a growing number of states. “These are very complex and expensive issues for SIIA to defend against,” Castelloe said. “They can’t make outright attacks on self-insurance because it is protected by the Federal ERISA law,” he noted. “So they attack stop-loss insurance instead and often seize on the issue of lasering to weaken selfinsured plans. grassroots efforts are always the most important part of government relations campaigns.” ■ SIIA members who wish to join the state government relations advocacy team are invited to contact Adam Brackemyre at the Washington, DC, ofﬁce, (202) 4638161 or abrackemyre@siia.org. that lasering is a bad thing, as if we would cut out the potential for highrisk claims from plans, but actually it’s beneficial to employers to help them cover employee health risks in managing their overall benefits program. Lasering is a financing tool, not a risk transfer tool,” he said. 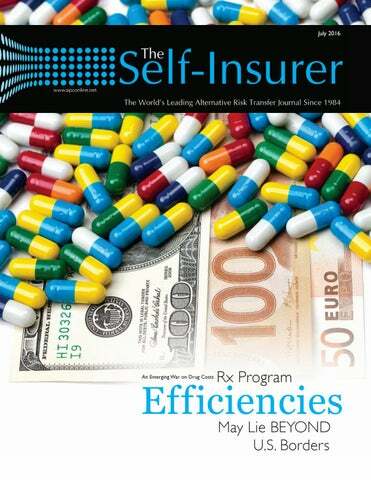 EDITORâ&#x20AC;&#x2122;S NOTE: This is the ďŹ rst of a series of periodic articles highlighting innovation that is taking place within the self-insured health plan marketplace. or an increasing number of businesses, self-insurance is a great way to move money spent to money invested, or money in the bank. And if that was not impressive enough, many selfinsurers across the country are now role models for health care delivery innovation through wellness programs, education and rewards systems. most have a cost saving component, the overall agreement is that spending money on employee health creates a happier, more productive workplace. based in Grand Junction, Colorado, which has experienced huge savings by switching to self-insurance, pointing to a 0% increase in premiums last year. They used the insurance broker IMA, Inc. to make the change and implement their successful wellness program. They are changing the culture of their company by emphasizing healthy meals and exercise. Further, they are required to have blood tests which alerts them to any major illnesses that may have gone unnoticed otherwise. Hilltop has implemented a points system to encourage healthy living. Employees may earn points by doing blood screenings, going to educational programs, or exercising. Once an employee reaches 10,000 points, they benefit from a significant drop in their premiums... in addition to being healthier. By having more control of their health care claims data, Hilltop is better able to promote wellness as well. For example, they noticed that the men in their company had higher BMI’s than the women, so they targeted the men with programs to help get that number into a healthier range. Finally, Hilltop has encouraged “shared decision-making.” This means that if one doctor suggests a surgery or treatment, the employee is encouraged to ask more questions and to get a second opinion to make sure that it is the best approach to treat the ailment. is another such company doing more than just saving money with self-insurance. Their wellness program is named “Rev It Up” and employees are encouraged to live a healthier lifestyle with incentives and benefits such as an indoor walking track. We know the bottom line is important to you. Go direct with Prime PPO and realize immediate cost savings. We’re your primary PPO solution, providing nationwide coverage customized to your needs. Nearly instant repricing, network customization, provider disputes averaging under 1% nationally, and virtually 100% provider retention sets us apart. Let us help you to maximize your penetration and savings while offering you highly competitive network access rates. preach and switched to self-insurance many years ago, despite having less than 100 employees at the time. Implementing programs within their own plan, that they offer to others as well, some of their innovative ideas include their unusual payments structure. For example, there is no co-payment for employees who seek treatment at urgent care facilities as opposed to going to an emergency rooms, which is more expensive for both the employee and the company. Employees are also encouraged to save money by choosing generic prescriptions. to us, address areas of need, nimbly adjusting our program whenever and however needed, is by self-funding our health plan. We customize our plan document, react to trends revealed by our claims data, select our partners based on our values and needs and ensure that our plan is truly OUR plan. That’s huge. By taking control, working with passionate advocates and implementing cutting edge programs, we’ve not only halted the upward cost-trend; we’ve reversed it – freezing premium growth and reducing plan spending.” ■ Ms. Bartlett is a SIIA professional staff member specializing in communications, media relations and political advocacy. The group challenges its employees to pay attention to their medical bills and share any mistaken charges identified. In one such instance, a woman went to the ER and stayed overnight in a public room but was charged for a private room. She noticed the incorrect statement and was able to save around $3,000 in her medical bills. In return, the Phia Group gave her a $500 Visa gift card. aptives are a useful tool in managing risk, but there is a lot of time, group effort and money that goes into starting a captive. Here are some tips and considerations from experts involved in the launching of new captive insurance companies. START A CAPTIVE? | FEATURE A captive insurance company brings a company’s risk in-house and can help reduce costs while providing better and more stable coverage for those risks. Captives are not a tax shelter or wealth transfer mechanism. Any service provider that is trying to sell them as such are likely not legitimate managers. As the Internal Revenue Service and other regulatory bodies continue to examine the legitimacy of captives, using a captive in a way that it is not intended could have serious consequences. time are, “whether or not their examiners are in-house, the process for evaluation, invasiveness of those evaluations and operations from a day to day perspective.” The operations part also assesses whether a domicile requires the captive to operate remotely or in state. The financial part delves into questions regarding taxes and accounting, whether or not the domicile taxes premium (onshore domiciles) or excise tax (offshore domiciles) and fees charged (if any). An active domicile-centric captive industry association is an important aspect to consider when selecting a domicile. As Biggleston said, “Captive industry associations are an important element to a successful domicile’s infrastructure, serving as an advocate for captives at the state and national level and offering education and networking opportunities unique to the industry.” A captive domicile is more than its captive law requirements. Prospective captive owners need to thoroughly research both the regulators and regulations, as well as the political mind-set and associations supporting captives in the domicile. According to Beck, “A good manager should also help you see the bigger picture for your captive. Your primary focus might be identifying a Workers Comp solution, but your manager should also be able to look at your whole program and offer other suggestions. For example, it might make sense to integrate group medical stop loss into the captive as well.” Whatever order you put together the team for your start-up captive each component needs to be ready to help to get the captive going. “It’s important early in the feasibility study to bring everyone to the table,” said Towle. 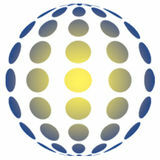 “The accountant or lawyer who suggested a captive, the in-house risk management team, captive consultants/managers, brokers and individual owners, everyone needs to be involved in getting the captive off the ground.” ■ Karrie Hyatt is a freelance writer who has been involved in the captive industry for more than ten years. More information about her work can be found at www.karriehyatt.com. arrangements, employees may elect additional benefits, paid for by the purported tax savings. Again it’s sold as win-win: employers pocket payroll tax savings and they are able to provide the wellness payment without having to expend any additional funds from its general assets. Moreover, employees can use their tax savings to purchase additional benefits with no reduction in take-home pay. Promoters receive a fee for administering the arrangement, again paid for with tax savings so that neither the employer nor the employee is out of pocket for the fee. What’s the problem? Once again, there simply is no basis in the tax laws for excluding the wellness payment from employees’ income. The IRS issued guidance on May 27, 2016, to address the issues raised with these programs (the “May 27 IRS Guidance”).1 According to the IRS, these wellness plan arrangements really are no different than the classic double dip that the IRS said more than 10 years ago just doesn’t work. Employers and employees who find themselves in these “Wellness Plan” arrangements can face significant adverse tax consequences. Further, in a postAffordable Care Act (ACA) world, a number of other compliance issues also arise. This article provides a high-level overview of the issues associated with “Double Dip II”. double dip, there is simply no basis on which to exclude such payments from income. The May 27 IRS Guidance makes it clear that such payments are not only taxable, but are wages subject to income and employment tax withholding. 106. In the example above, if the employee pays for the remainder of the $300 premium not paid by the employer through salary reduction, that $100 would also be excluded from income under Code Section 106.2 Section 105 determines the extent to which benefits received through employer-provided accident or health coverage are excluded from income. If the coverage was paid for on a pre-tax basis, then the general rule in Code Section 105(a) is that benefit payments received under the coverage are taxable. However, Code Section 105(b) provides an important exception to this general rule. Under Section 105(b), benefit payment amounts received under such coverage are excludable from income if such amounts represent direct or indirect reimbursements for expenses actually incurred for medical care (as defined in Code Section 213(d)) that if paid directly by the employee would give rise to a deduction under Section 213. Amounts that are excludable from gross income under Sections 105 and 106 are also excludable from wages for purposes of income tax withholding under Section 3401 and FICA and FUTA payroll taxes (Section 3121(a)(5)(G) and 3306(b)(5)(G)). Similarly, salary reduction contributions made by employees through a Section 125 cafeteria plan are excludable from wages for withholding and payroll tax purposes. seen some programs that operate under the assumption that Wellness Payments are made because the employee will or is likely to incur medical expenses. The IRS has made it clear that such advance payment in anticipation of medical expenses are taxable income in Revenue Ruling 2002-80. The cafeteria plan rules also clearly prohibit such an approach. The IRS has recently confirmed this analysis in the May 27 Guidance. The IRS concluded that: • Cash rewards or other benefits that do not qualify as reimbursement for medical expenses are not excludable from employees’ income or for payroll tax purposes.4 • Reimbursements of all or a portion of premiums for participating in a wellness program are not excludable from income or payroll taxes if the premiums were originally made on a pre-tax salary reduction basis. So, now let’s look at Sue’s situation when the Wellness Payment is properly treated as taxable. • When the Wellness Payment is properly treated as taxable, the purported tax savings disappear, so that there is no “free money” from which to purchase benefits or pay fees associated with the Wellness Program. While the employee may choose to purchase additional benefits, there will be a net reduction in take-home pay. Moreover, the employer is subject to FICA taxes on that amount. the fair market value of the wellness plan and/or allow employees to use salary reductions to purchase benefits such as whole or universal life could result in disqualification of the cafeteria plan. Do the Defective Wellness Plans Raise Other Legal Issues? Yes, a variety of other laws are implicated, including the following: • Nondiscrimination Rules Final EEOC regulations under the Americans with Disabilities Act (ADA) published on May 17, 2016 extend the 30% limitation on the amount of wellness plan incentives awarded under participatory plans that utilize health information. Prior regulations issued by Treasury/IRS, DOL and HHS only applied the limit to health contingent plans. » In general, the 30% limit is based on the total cost of self-only coverage offered by the employer. » If the employer does not have another group health plan, then cost is based on the second lowest-cost Silver plan offered in the ACA Exchange in which the employer has its principal place of business for a 40-year old non-smoker. While this cost varies by geography, premiums in the $200$350 per month range are common. This would leave room for only $60105 in wellness benefits – far less than the amounts purportedly available under some arrangements. • ACA Requirements Wellness Plan arrangements of the sort described here do not by themselves satisfy the ACA minimum requirements (e.g., required preventive services, no annual dollar limit on benefits). Thus, unless the employer has another group health plan that is ACA compliant, the Wellness Plan arrangement may subject the employer to penalties of $100 per day for violation (for employers with more than 50 employees). Further, regardless of employer size, participants and the DOL may bring actions to force compliance with ACA requirements. • Employer Penalties For employers with 50 or more full-time equivalent employees, Wellness Plan arrangements are not designed to shield employers from ACA penalty exposure under Code Section 4980H. • Cafeteria Plan Rules Code Section 125 limits the benefits that may be offered through a cafeteria plan to listed qualified benefits. Some Wellness Plan arrangements purport to allow benefits to be paid on a salary reduction basis through a cafeteria plan even though they are not qualified benefits. For example, whole life insurance is not a qualified benefit and may not be offered through a cafeteria plan. Offering benefits that are not qualified may disqualify the entire cafeteria plan. • Other issues may also arise, including other nondiscrimination issues, issues under GINA and possible Cadillac plan tax issues (effective in 2020). Conclusion The defective Wellness Plans described here attempt to use a cafeteria plan and a wellness program to provide greater tax savings to employees and employers than is otherwise permitted by the Code. While the details and descriptions of these programs may vary and change, the underlying core element is an attempt to convert what is clearly taxable income into purportedly nontaxable income without an underlying medical expense reimbursement. It is these purported tax savings that make the programs appear attractive, despite the fees charged for participation. In reality, there is no basis in the Code for excluding Wellness Payments or similar payments from income or applicable employment taxes. When the arrangements are taxed properly, the attraction of the arrangements disappears. Employers and employees who participate in these arrangements are likely liable for additional taxes, interest and penalties, which can be significant. Similar arrangements to those described here have been found to be prohibited tax shelters; promotors of tax shelters can be subject to significant penalties, including criminal sanctions. References The May 27 IRS Guidance may be found at www.irs.gov/ pub/irs-wd/201622031.pdf (last visited on May 31, 2016). 2 What if the value of the coverage was $300 but the salary reduction for that beneﬁt was $1000? Would the cost of the coverage still be excluded from income? The IRS did not speciﬁcally address this issue but we note that it the cost of coverage may not qualify for exclusion under 106 in that instance. If not, the beneﬁt would not constitute a qualiﬁed beneﬁt that can be offered under the cafeteria plan – thereby jeopardizing the tax status of the cafeteria plan. 3 It is unclear why there would be a charge for wellness plan incentives or why an employee would pay for such incentives. The essence of wellness plans is that the employee receives the incentives by taking certain actions speciﬁed in the program. The incentive can be taxable (e.g., cash or a gift card) or non-taxable (e.g., a contribution to the employee’s HSA or a reduction in health plan premiums). In some cases, the Wellness Plan may offer limited health beneﬁts, such as health screenings or a limited number of doctor’s visits that qualify the plan as an accident or health plan. 4 In very limited circumstances, the May 27 IRS Guidance indicates that certain wellness rewards may be excludable as a de minimis fringe beneﬁt under Code Section 132. A tee-shirt is given as an example of such a beneﬁt. However, cash (other than overtime meal money and local transportation fare) is never excludable as a de minimis fringe beneﬁt. Note, also, that such beneﬁts are not qualiﬁed beneﬁts under the cafeteria plan rules. elf-Insurance Institute of America’s (SIIA) upcoming National Conference & Expo is scheduled for September 25th-27th at the JW Marriott Austin in Austin, TX. This is the world’s largest event focused exclusively on the self-insurance/alternative risk transfer marketplace and typically attracts more than 1,700 attendees from around the United States, and from a growing number of countries around the world. Channel with an Election Day preview on Monday, September 26th at 8:30am. The always popular end of conference party returns this year, and will be held on the evening of September 27th, and will feature live music at a fun venue close to the hotel. The SIIA Speakeasy will be a great way to cap off your conference experience and fit in one last round of networking, so you are encouraged to make your travel plans accordingly! Many senior industry executives representing TPAs, employers, stop-loss carriers, captive managers, brokers and other key players in the self-insurance marketplace have already registered, making this a truly must-attend event. of 6 million barrels ofmost beerdiscerning or less...” tastes. BIC stays Annual small to production provide the utmost attention to the BIC stays small to provide the utmost attention to the most discerning tastes. BIC stays small to provide the utmost attention to the most discerning tastes. A brewer that...derivesTraditional from traditional or innovative brewing ingredients... A brewer that...derives fromtraditional traditional orinnovative innovative brewing ingredients... A brewer that...derives from brewing Flavored malt beverages areornot considered beers.ingredients... Flavored malt beverages are not considered beers. Flavored malt beverages are not considered beers. BIC brews benefits with innovation and to our our missiontotodeliver deliver value. BIC brews benefits with innovation andtradition traditionalways always true true to value. BIC brews benefits with innovation and tradition always true to ourmission mission to deliver value.